It’s been school holidays here for the last two weeks and because I’m still out of work, I didn’t have to worry about putting JJ into vacation care. We’ve been sleeping in, taking the dog for a walk and catching up with friends. 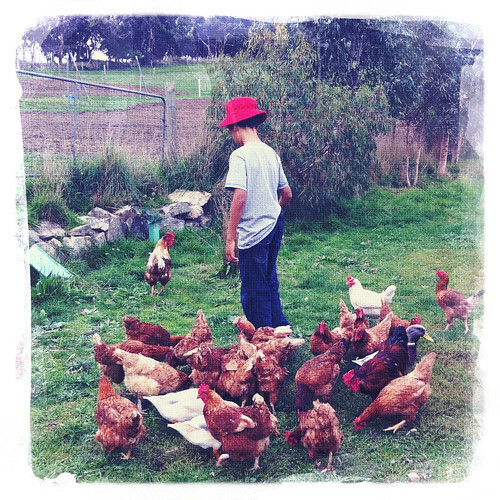 We visited some friends up in the hills last week where JJ got to feed the chooks and he came home with a yabby which is now living out in our back yard. Actually we came home with two yabbies but there is only one left. It’s a mystery as to where the other one went. JJ bought and paid for himself a plastic crate to keep it in and has been the sole caretaker of it – something I insisted on at the start. He’s really into animals, nature and science and would have a zoo living here if he could. We already have a dog, two fish and now one yabby and that’s plenty for me. At least the fish and the yabby are self sufficient if we’re not here for a couple of days at a time which can happen when we spend time at The Surfer’s place. 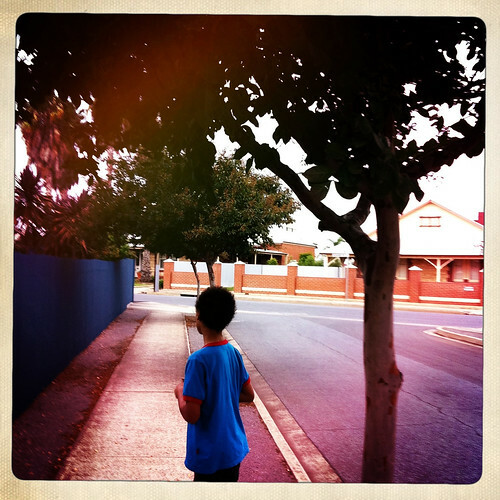 The photo below was taken at the hardware shop where JJ bought the yabby crate from. The guy JJ’s sitting with happens to be a friend of ours who was working there that day. 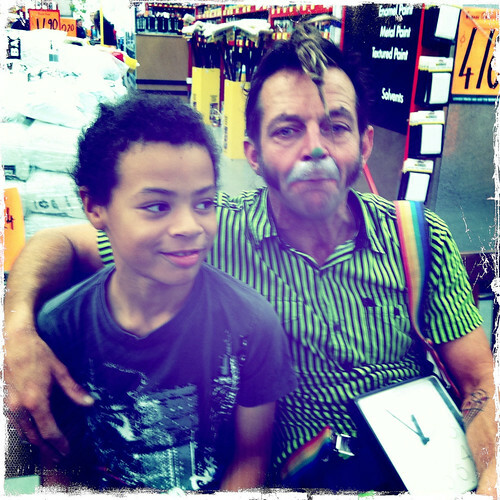 He’s a clown and he entertains the shoppers while they lose their way around the huge hardware store. It’s a bit of welcome light relief when you’re frustrated at not being able to find what youu want, or not find a person to help you find what you want. JJ’s been sleeping in his ‘cubby’ in the spare room. He’s made a makeshift tent of sorts that he’s been sleeping in for the last three nights. It’s great doing these sorts of things when we don’t really have any other commitments like having to go to school or work. Time with your boy…nothing better than that. Love these pictures…JJ’s so grown up now…sweet guy.